I love how quick and easy this keto-friendly meal is. It's a great example of what my typical dinner looks like: high in healthy fats, protein and micronutrients. It's the ideal meal for those who practice intermittent fasting and follow a keto diet. And if your goal is to lose weight, this meal will keep your blood sugar levels stable to help you stay full for longer. Eggs are a superfood and a keto staple. I always keep some hard boiled eggs and poached eggs in the fridge. 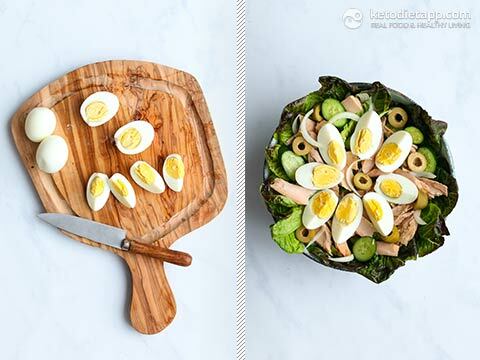 Then I'm just minutes away from making a tasty, nutritious low-carb meal like this tuna salad or California Eggs Benedict. If you want to give the salad an extra fat and potassium boost, simply sub the cucumber with avocado. Instead of tuna, you can use smoked salmon, mackerel or sardines. If you're not a fan of olives, use capers or a couple of chopped sun-dried tomatoes. 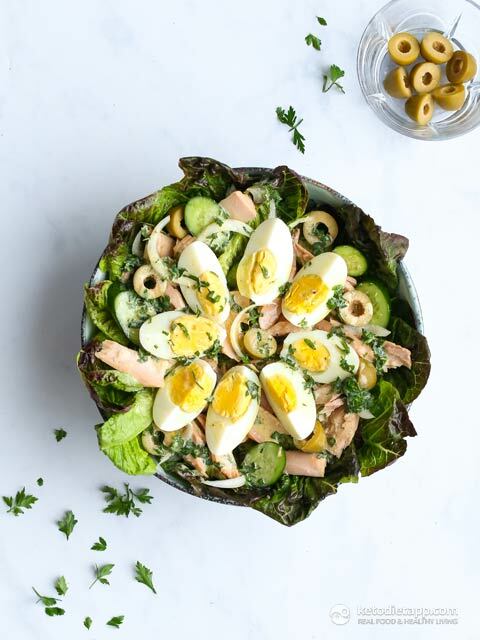 To give the salad an extra boost of vitamins and minerals, you can part sub the lettuce with spinach, watercress or arugula. If you can do dairy, use goat cheese or feta instead of the tuna or eggs. The dressing is very simple too. I just mix some of my homemade mayo with lemon, olive oil, chopped herbs, salt and pepper. You can add a pinch of cayenne for an extra kick. Or you can swap the olive oil with MCT oil which can raise ketone levels in case that is your goal. The options are endless! 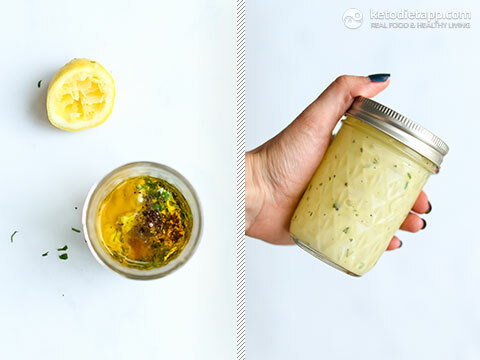 Prepare the dressing by placing all of the ingredients in a mason jar (mayonnaise, lemon juice, olive oil, parsley, salt and pepper). Close with a lid and shake until well combined. Slice the cucumber (peeled if desired), onion and olives. 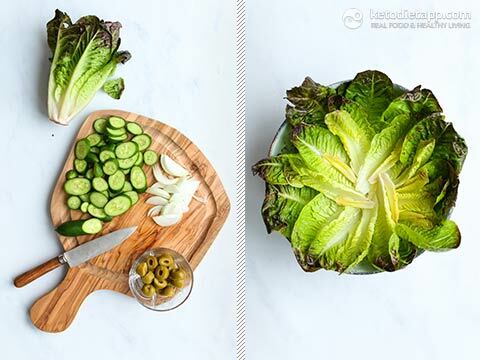 Separate the lettuce leaves and fold into a bowl. 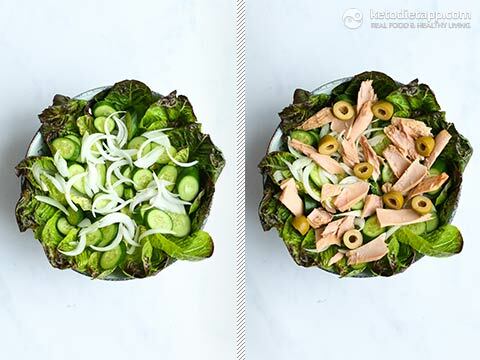 Add sliced cucumber, onion, tuna and olives. Quarter the eggs and add to the salad. If the dressing has separated, shake again just before drizzling on the salad. Garnish with fresh parsley or chives. Eat immediately or store in the fridge for up to a day. 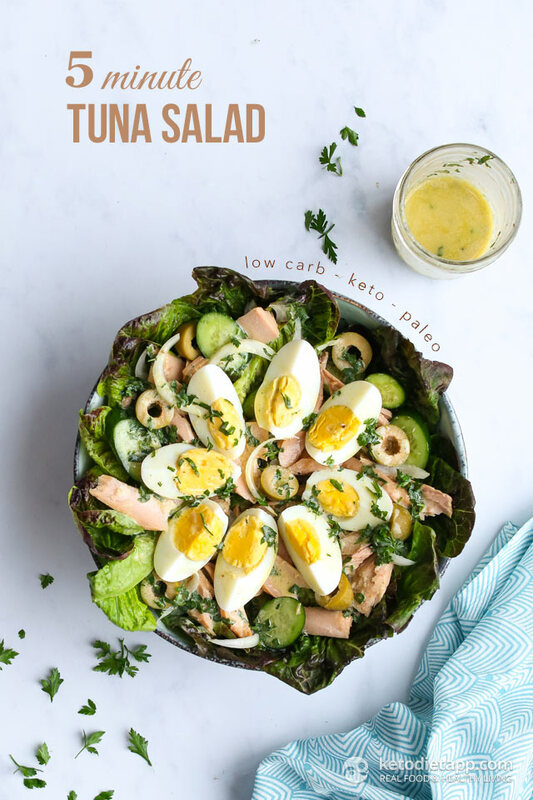 I just downloaded the Keto Diet app and I made the 5- Minute Keto Tuna Salad on your blog. Delicious! I wanted to add this meal in the Planner section for today, but when I, "Tap to add meals to this day", I can't find the recipe listed. It's from your blog. 1) KetoDiet Blog section (top right there is an "add" button with a plus on it). 2) Or you can add it directly from Custom Meals > KetoDiet Blog Meals (you can also clone & modify any of the meals here), or search for the recipe name in the same section). 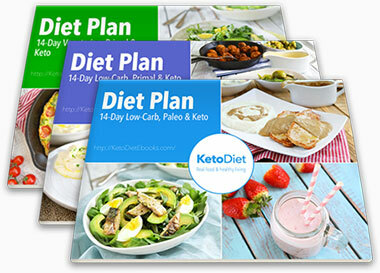 3) Planner day > Add > KetoDiet Blog meal > search for recipe name. In this case we are working on a universal search so you will soon be able to search across different meal categories that you now see when you tap to Add. It says place all ingredients in a mason jar and shake until well blended. Can you please clarify which ingredients go into the mason jar? Thank you. Clarified in step one, thank you for noticing!